I'll show you my nerd if you show me yours. — go postle. I'll show you my nerd if you show me yours. Have I mentioned before that I have a certain... fondness, shall we say? -- for the Harry Potter series? Well, I do. 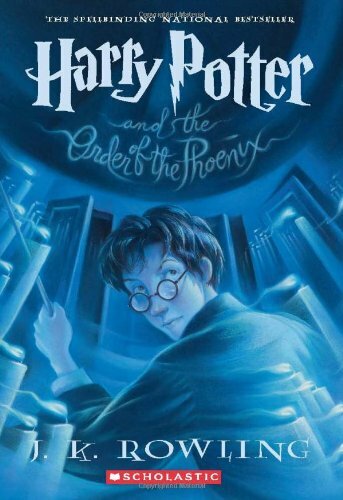 I'm on the downhill slope of finishing another re-read (nearing the end of Phoenix), and I've noticed that this time through, not unlike the times preceding, my appreciation for it has deepened considerably. My coworker today called me "obsessed", which is a fair description, but not having read them herself, she of course cannot understand. She probably reads more than I do, too, so I've made her promise to read them. She'll see soon enough. Oh yes, she'll see. Like the many times I've read it before, I'm struck by what a nepenthe it is. My boring little life fades away for a while, and I come through at the end feeling stronger, somehow. One fun little quirk of this read-through is that this is the first time that I've read the books on my lovely Kindle, and it seems that these versions, while the title of the first novel remains horribly mutilated by silly American publishers (the same publishers I hope to one day woo -- love you guys! ), have retained much of the original British-English. There have been a few words (largely slang) that I've had to stop and look up because I had no idea what they meant, which has been quite fun, although a notable (and strange) remnant of the Americanization remained with "soccer". I mean, of all the words I've had to look up, I think I would have known what was meant if "football" was left intact. Oh, and... while I'm being unabashedly nerdy, I've also started a Minecraft Realm (server) and am accepting applications if you're interested. Vanilla survival, if that means anything to you. It's been fun. If you're completely lost, it's like Legos on the computer, with silly zombies thrown in for good measure. It helps my woefully underused creative side. And enough rambling. Later taters.